Surveying 1,118 dentists in our database, we found that over 65% of dentists have been asked by a patient in the last month to get Netflix for them to watch during procedures. Only about 18% of the dentists we surveyed offer TV or Netflix for their patients. 37% of dentists that don’t currently offer Netflix for patients to watch are now considering adding it within the next year. This might seem like a silly question, but it might be one we’ll hear more frequently if a new trend continues to grow. More dentists than ever are offering their patients services like Netflix while performing procedures like filling cavities or intensive cleanings. It makes sense, to allow the patient to zone out on episodes of ‘The Office’ instead of listening to the loud drilling or other anxiety-inducing parts of any dental work. Not to mention being able to avoid the sometimes-awkward conversations as your mouth is held open by lip retractors while your dentist asks you how your week has been. We wanted to get a sense for how common this trend is, and we were surprised by just how prominent the request for Netflix is now in dentist offices. 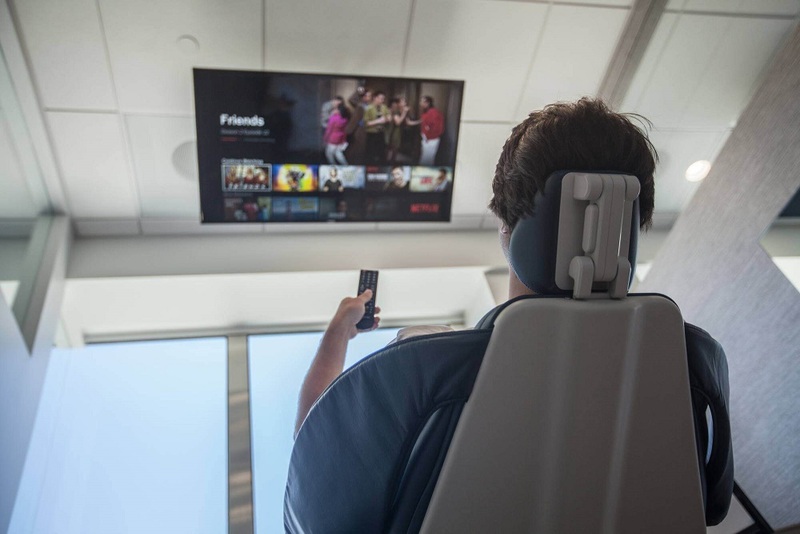 A total survey of 1,118 dentists responded, many mentioning that Netflix is by far the biggest thing their patients now ask for, with 65% of dentists saying they have been asked to add Netflix as an amenity to their office. Most don’t expect their patients to be aware of new dentistry techniques or modernized medicine, and instead seem more interested in more “comfort-related” amenities in the dentist chair. What features do you want your dentists to add? Let us know in the comments below!